Oh my god! She’s still alive! I thought I’d update you quickly on a bit of news: the Vision Writers anthology ’18’ has been included in the Books From Our Backyard catalogue released by the Queensland Writers Center’s. There was a launch event for the catalogue’s release last night and Talitha Kalago and I attended. We had a wonderful time talking with fellow authors, QWC staff, agents, and editors who attended and I *may* have pigged out on hors d’oeurves ;p I also enjoyed dressing up and wearing high heels for the first time since the Aurealis Awards last year. 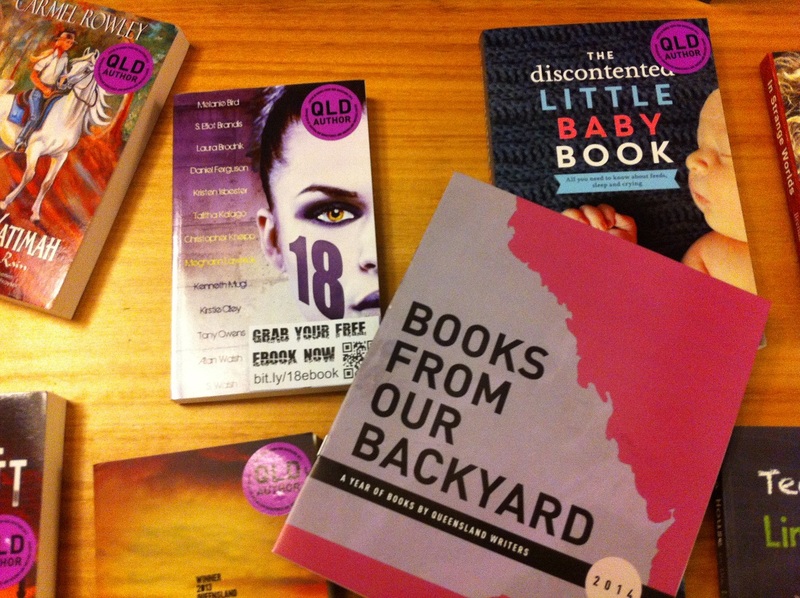 The Books From Our Backyard catalogue contains a massive list of books by Queensland authors, covering every genre(no joke, everything fiction and non fiction alike), so is well worth checking out to help you pad out your to-read pile (because we all totally need help with that!). You can also read my more official post about the event on the Vision Writers blog .